There will be a lot of intrigued gossip this season when you strut your Catwalk in this paradise pretty slip-on! 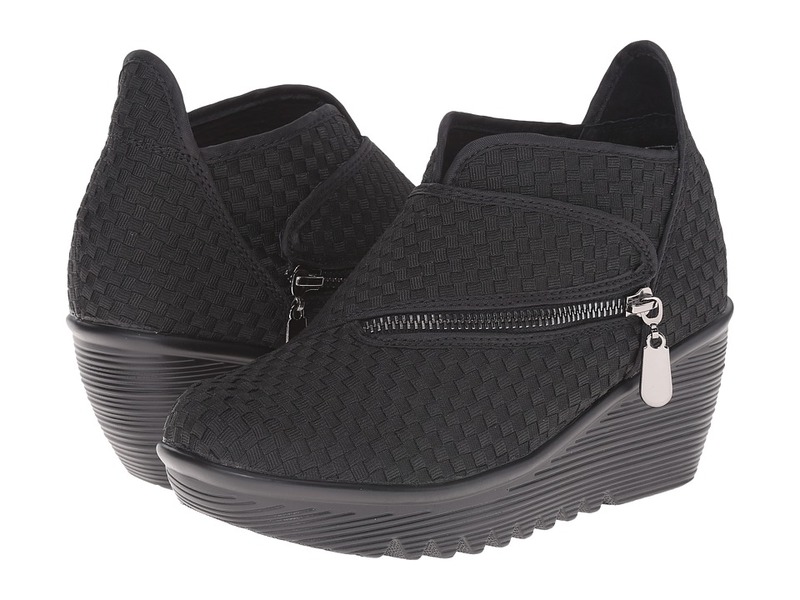 Woven textile upper in a slip-on silhouette. Textile lining for breathability. Lightly padded footbed for all-day comfort. Rubber outsole for a pleasurable walking experience. Imported. Measurements: Heel Height: 1 in Weight: 6 oz Product measurements were taken using size 38 (US Women~s 7.5), width M. Please note that measurements may vary by size. Weight of footwear is based on a single item, not a pair. 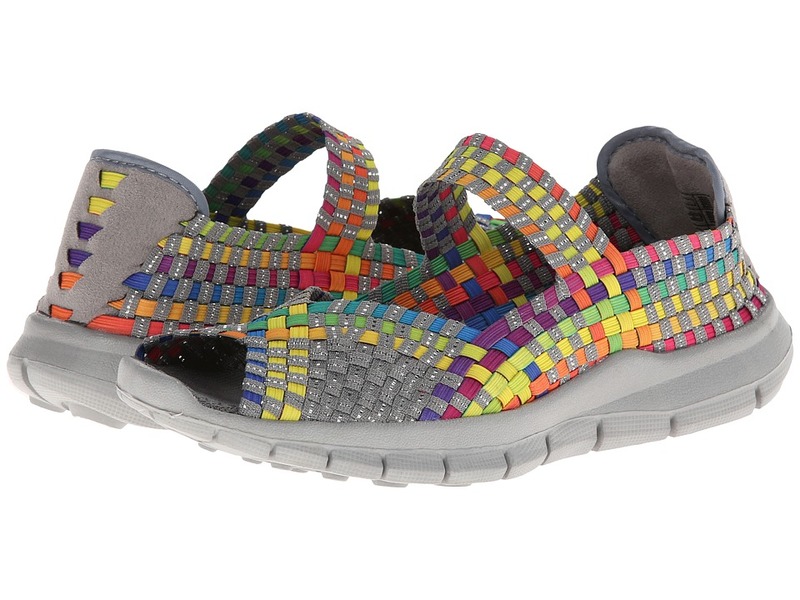 Take your beachy look to the next level with the bernie mev. Comfi. 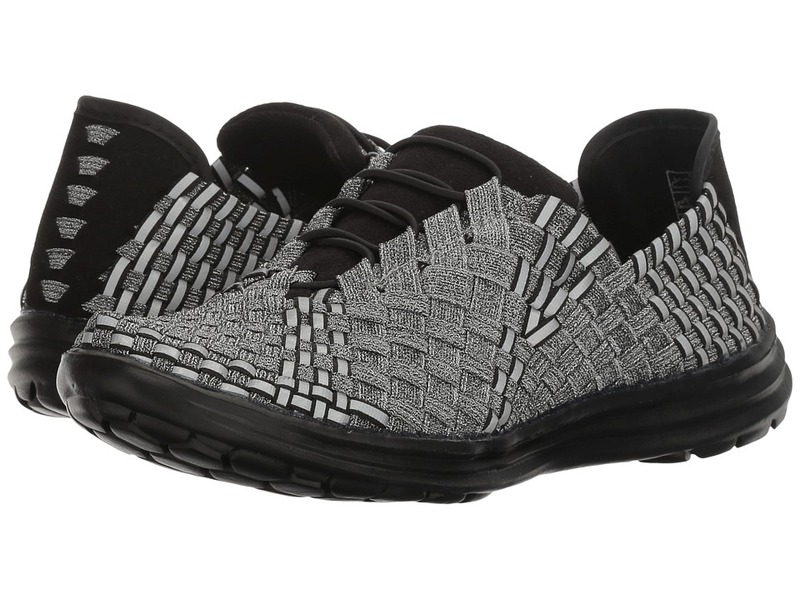 Woven elasticized upper conforms to the shape of any foot. Easy slip-on style. Textile lining and angular peep toe provide extra breathability. Combination memory foam footbed and antibacterial-lined insole for luxurious comfort. EVA outsole for additional support. Imported. Measurements: Heel Height: 1 in Weight: 5 oz Shaft: 10 in Product measurements were taken using size 38 (US Women~s 7.5), width M. Please note that measurements may vary by size. Weight of footwear is based on a single item, not a pair. So cute and cuddly! 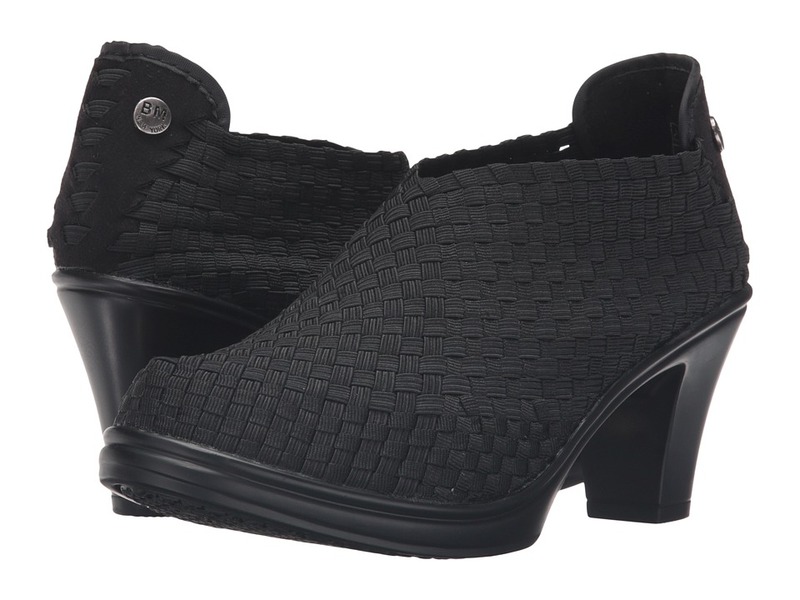 Woven, elastic fabric upper in a mary jane silhouette. Easy slip-on style. Textile lining for breathability. Sueded, padded heel cup with grosgrain trim. Memory foam-cushioned footbed for all-day comfort. Durable rubber outsole. Imported. Measurements: Heel Height: 1 2 in Weight: 6 oz Product measurements were taken using size 39 (US Women~s 8.5), width M. Please note that measurements may vary by size. Weight of footwear is based on a single item, not a pair. The bernie mev. Lulia wedge weaves a colorful spell! Handwoven textile upper for unique appeal. Easy slip-on style with an elastic strap for a comfortable fit. Textile lining for breathability. Cushioned memory foam footbed for additional comfort. Durable rubber outsole. Imported. Measurements: Heel Height: 2 1 4 in Weight: 8 oz Platform Height: 3 4 in Product measurements were taken using size 38 (US Women~s 7.5), width M. Please note that measurements may vary by size. Weight of footwear is based on a single item, not a pair. 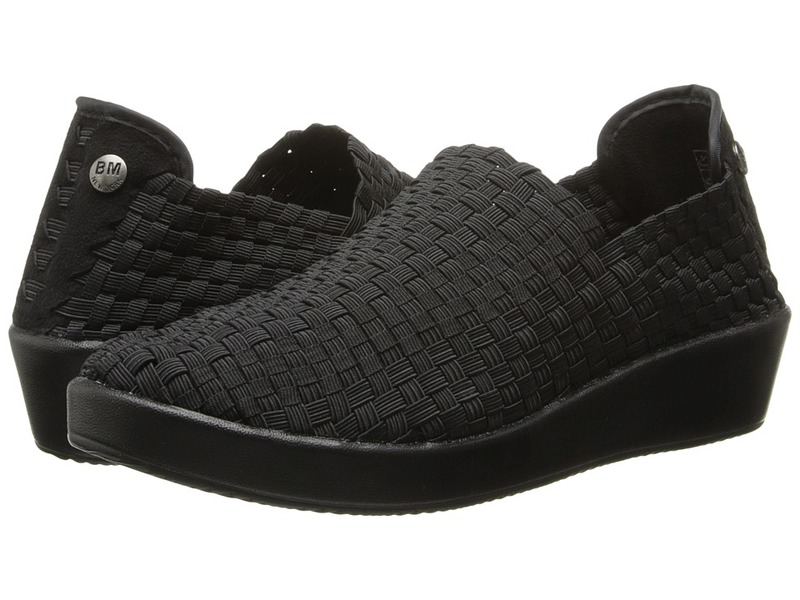 Upgrade your casual weekend look with the Verona slip-on from bernie mev.. Handwoven fabric or patent upper is elasticized for a comfortable wear. Easy slip-on style features dual goring. Breathable leather lining. Memory foam-cushioned footbed for all-day wear. Synthetic outsole. Imported. Measurements: Heel Height: 1 in Product measurements were taken using size 39 (US Women~s 8.5), width M. Please note that measurements may vary by size. Weight of footwear is based on a single item, not a pair. Set your sights on a lovely evening in the beautiful Claire shootie by bernie mev.. Woven elastic upper in a peep-toe silhouette. Easy slip-on style. Antimicrobial textile sockliner. Memory foam cushioned footbed. Polyurethane sole. Imported. Measurements: Heel Height: 2 3 4 in Weight: 7 oz Platform Height: 1 2 in Product measurements were taken using size 38 (US Women~s 7.5), width M. Please note that measurements may vary by size. Weight of footwear is based on a single item, not a pair. Set new limits this season and make quite the fashion statement in the charming Chesca shootie by bernie mev.. Woven elastic upper. Easy slip-on style. Antimicrobial textile sockliner. Memory foam cushioned footbed. Polyurethane sole. Measurements: Heel Height: 2 3 4 in Weight: 6 oz Platform Height: 1 2 in Product measurements were taken using size 38 (US Women~s 7.5), width M. Please note that measurements may vary by size. Weight of footwear is based on a single item, not a pair. 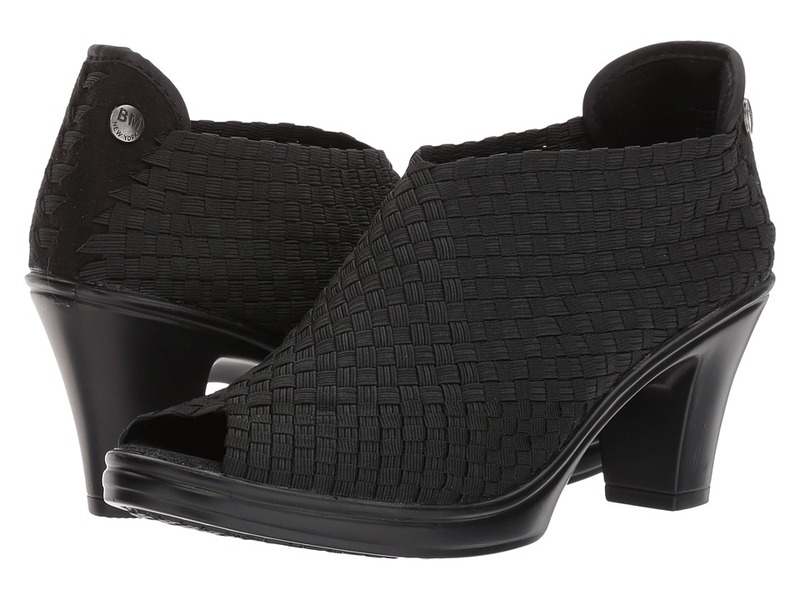 Feel good vibes and flaunt good taste in the Bella Me slip-on by bernie mev. Leather and woven elastic upper. Easy slip-on style. Leather lining. 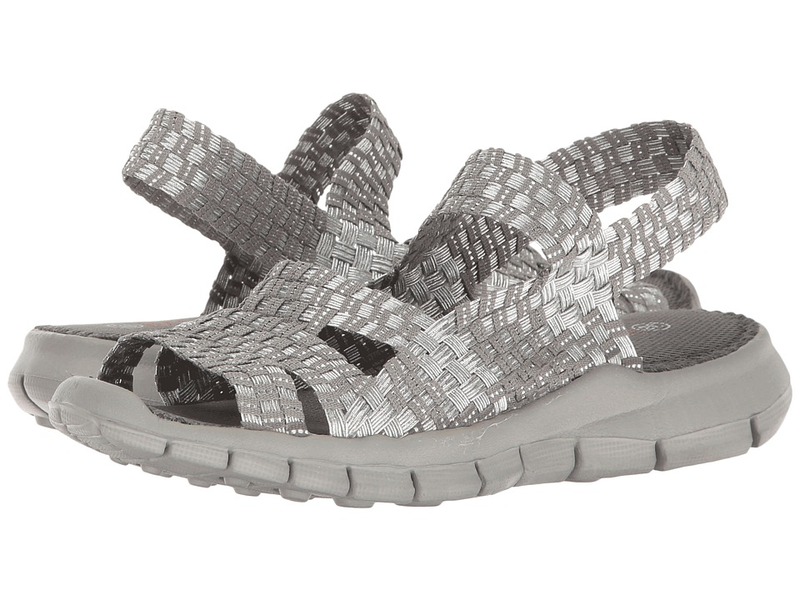 Leather-covered cushioned footbed for all-day comfort. Durable rubber outsole. Imported. Weight of footwear is based on a single item, not a pair. Just like love at first sight, the Victoria sneaker will give you warm butterflies and everlasting comfort. Handwoven fabric upper is elasticized for a comfortable wear. Slip-on style features elastic laces for easy on and off. Antimicrobial textile sockliner provides a breathable and clean environment. Memory foam-cushioned footbed for all-day wear. Polyurethane outsole for a pleasurable walking experience. Imported. Measurements: Weight: 6 oz Product measurements were taken using size 39 (US Women~s 8.5), width M. Please note that measurements may vary by size. Weight of footwear is based on a single item, not a pair. There~s nothing better than a stylish pair of shoes designed to fit you like a glove! 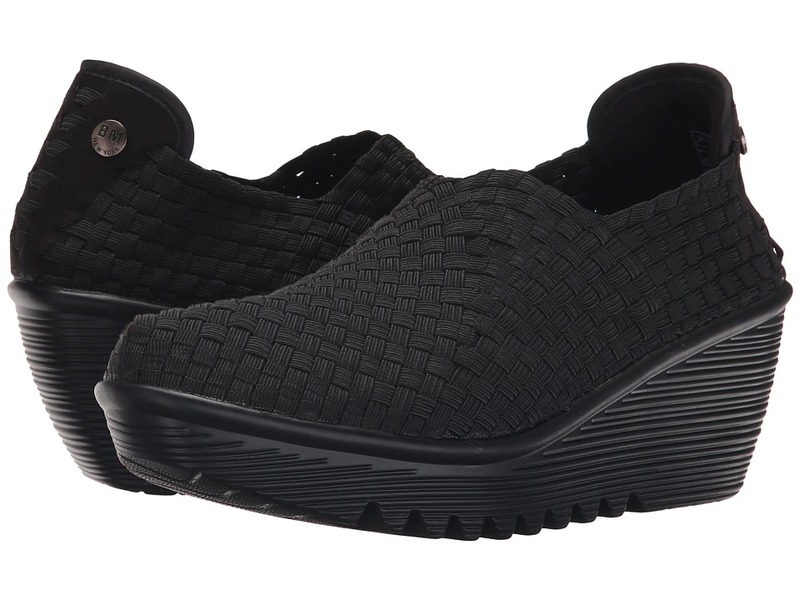 Woven elastic textile upper in a slip-on silhouette. Textile lining for breathability. Lightly padded footbed for all-day comfort. Rubber outsole for a pleasurable walking experience. Imported. Measurements: Heel Height: 1 1 2 in Weight: 7 oz Platform Height: 3 4 in Product measurements were taken using size 38 (US Women~s 7.5), width M. Please note that measurements may vary by size. Weight of footwear is based on a single item, not a pair. 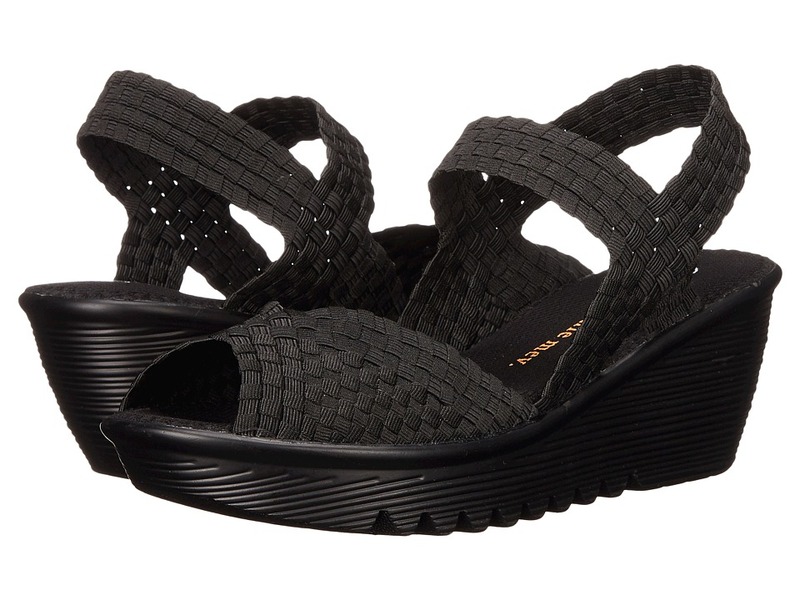 Go for Fame in this heavenly wedge sandal from bernie mev.. Interlaced elastic strand upper in a hand-woven construction. Easy slip-on style. Antimicrobial textile sockliner. Memory foam cushioned footbed for all-day comfort. Polyurethane platform wedge outsole. Imported. Measurements: Heel Height: 2 1 4 in Weight: 6 oz Platform Height: 1 in Product measurements were taken using size 38 (US Women~s 7.5), width M. Please note that measurements may vary by size. Weight of footwear is based on a single item, not a pair. 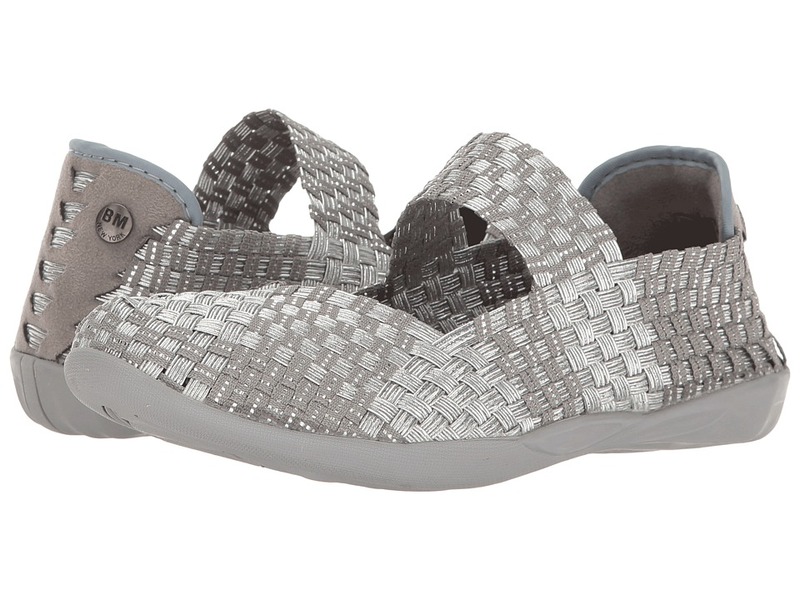 Lure your feet into comfort in the bernie mev. Cindy sandals! Open toe, slingback sandal. Woven elastic strand upper stretches to conform to the shape of your foot. Easy slip-on style. Breathable textile lining and synthetic heel cap for additional comfort. 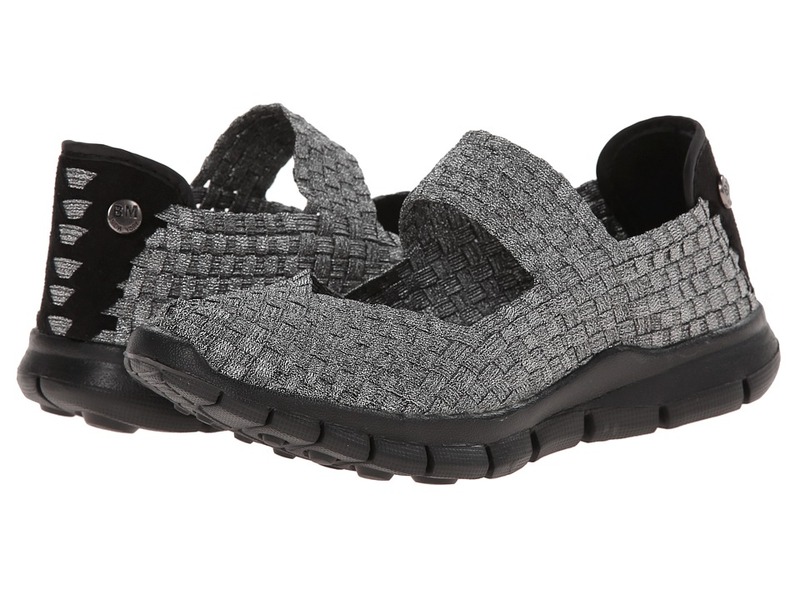 Memory foam cushioned footbed for additional breathability providing you a pleasant atmosphere all day long. Lightweight and durable rubber outsole. Imported. Measurements: Heel Height: 1 1 4 in Weight: 4 oz Product measurements were taken using size 39 (US Women~s 8.5), width M. Please note that measurements may vary by size. Weight of footwear is based on a single item, not a pair. This bernie mev. mary jane boasts great Charm that is sure to allure others into your comfort world. Interlaced elastic strand upper stretches to conform to the shape of your foot. Easy slip-on style. Breathable textile lining and synthetic heel cap for additional comfort. Memory foam cushioned footbed for additional breathability providing you a pleasant atmosphere all day long. Lightweight and durable rubber outsole. Imported. Measurements: Weight: 5.5 oz Product measurements were taken using size 39 (US Women~s 8.5), width M. Please note that measurements may vary by size. Weight of footwear is based on a single item, not a pair. 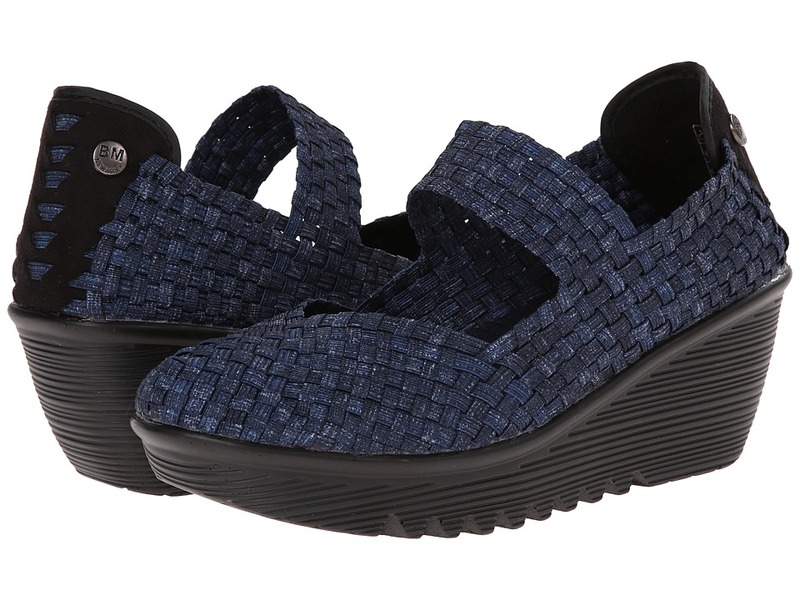 Walk in the room and amaze your audience with this flattering wedge by bernie mev.. Woven textile upper. Easy slip-on style. Soft textile lining. Cushioned memory foam footbed. Man-made outsole. Imported. Measurements: Heel Height: 2 in Weight: 8 oz Platform Height: 1 in Product measurements were taken using size 39 (US Women~s 8.5), width M. Please note that measurements may vary by size. Weight of footwear is based on a single item, not a pair. Unique fashion and exceptional comfort are a Zigzag away with this ultra-hip wedge by bernie mev. Woven elastic upper. Zipper closure. Leather lining. Cushioned footbed. Synthetic outsole. Imported. Measurements: Heel Height: 2 in Weight: 9 oz Platform Height: 3 4 in Product measurements were taken using size 38 (US Women~s 7.5), width M. Please note that measurements may vary by size. Weight of footwear is based on a single item, not a pair. 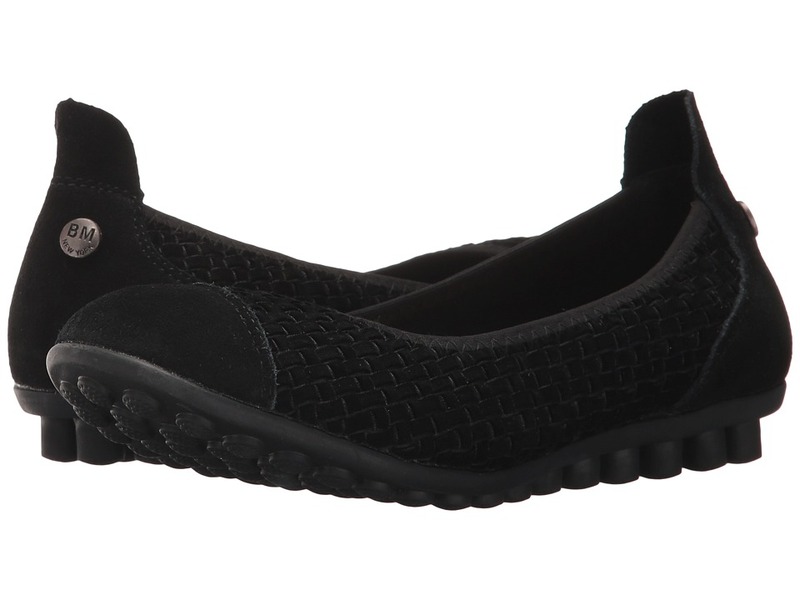 Keep comfortable versatility at arms reach in the Catniss flat by bernie mev. Stretch fabric upper. Easy slip-on style. Memory foam-cushioned footbed. Durable rubber outsole. Imported. Measurements: Weight: 6 oz Product measurements were taken using size 39 (US Women~s 8.5), width M. Please note that measurements may vary by size. Weight of footwear is based on a single item, not a pair. 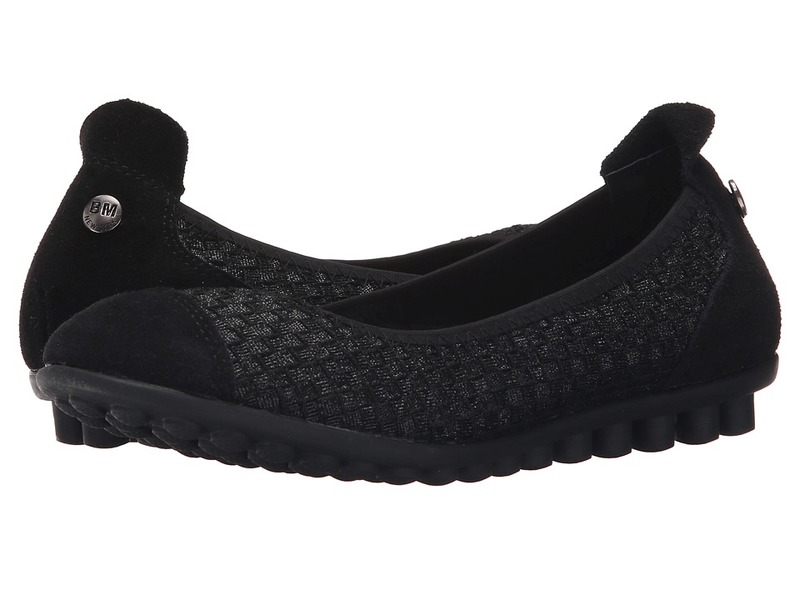 There will be a lot of intrigued gossip this season when you strut your Catwalk in this paradise pretty slip-on! 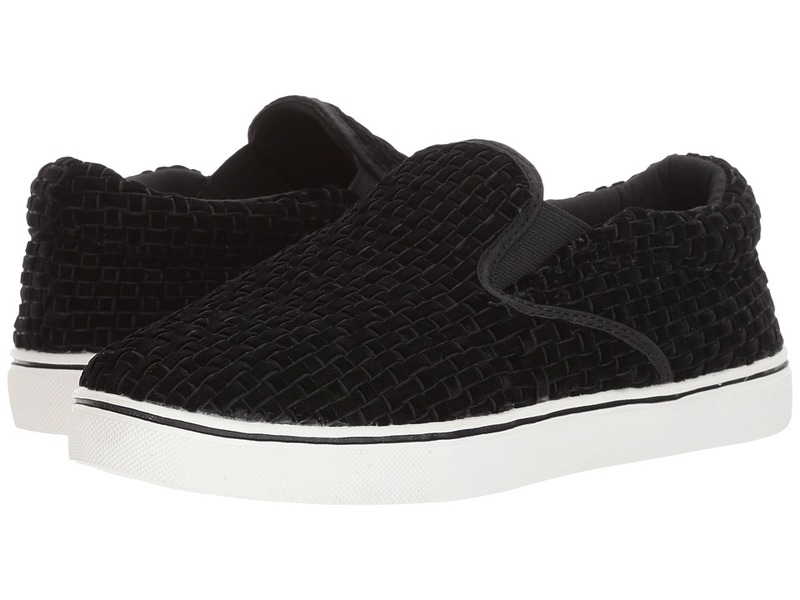 Woven textile upper in a slip-on silhouette. Textile lining for breathability. Lightly padded footbed for all-day comfort. Rubber outsole for a pleasurable walking experience. Imported. bernie mev.&amp#174 is teaming up with two cancer support organizations to raise funds with its Weave the World Together campaign. The company will donate 100 percent of proceeds from the sale of its Braided Catwalk flat to MyLifeLine.org and Sharsheret. Measurements: Weight: 6 oz Product measurements were taken using size 39 (US Women~s 8.5), width M. Please note that measurements may vary by size. Weight of footwear is based on a single item, not a pair. 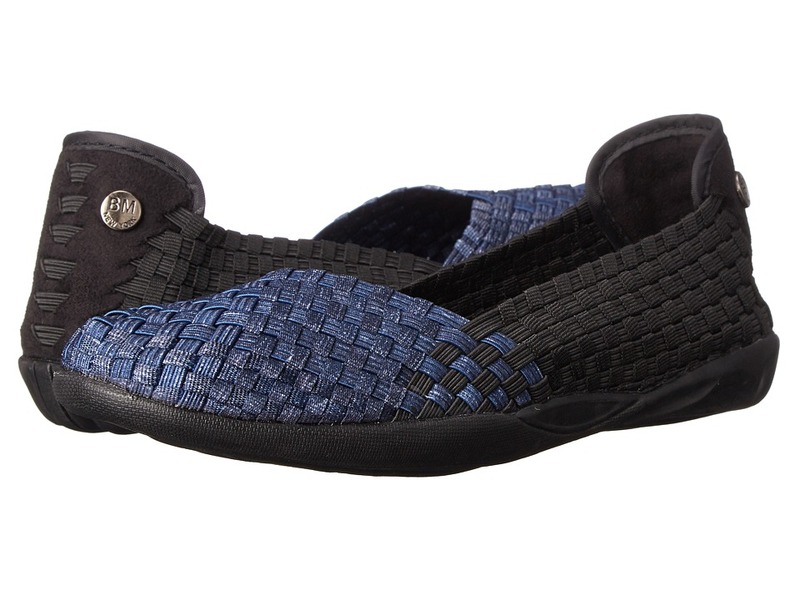 Be inspired by a beautiful slip-on and allow it to take you where you want to go in the Bella Me by bernie mev.. Leather and woven elastic upper. Easy slip-on style. 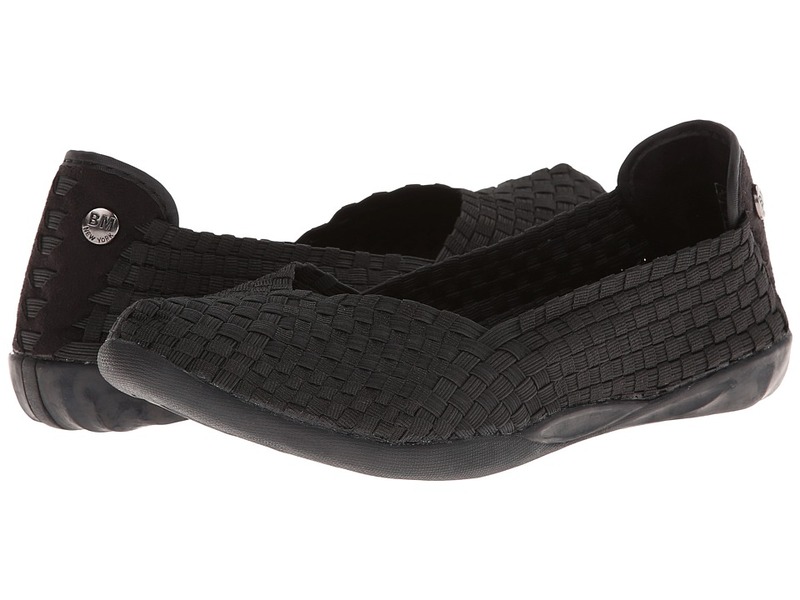 Leather-covered cushioned footbed for all-day comfort. Durable rubber outsole. Imported. Measurements: Heel Height: 3 4 in Weight: 7 oz Product measurements were taken using size 39 (US Women~s 8.5), width M. Please note that measurements may vary by size. Weight of footwear is based on a single item, not a pair.